Donkey Kong Country Returns 3D (Nintendo 3DS) NEW SEALED MINT GOLD VGA U95+! Donkey Kong Country Returns 3D (3DS) NEW SEALED UNCIRCULATED, MINT GOLD VGA U95! 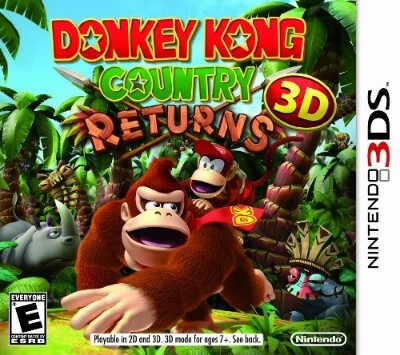 Donkey Kong Country Returns 3D (Nintendo 3DS, 2013) - COMPLETE CIB - Free Ship! Donkey Kong Country Returns 3D [Nintendo 3DS] Complete in box SHIPS FREE!